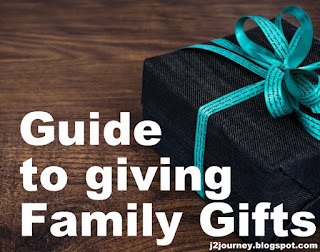 I don't know about you but there is something about a family gift. My husband and I moved into doing that for our family a few years ago and we have not turned back yet. I think it can come with the misnomer that it has to be some big impressive or expensive gift to be for the whole family. But I sure don't think it has to be. Gift giving is more about the thought behind it anyway right? So it doesn't matter what it cost, as far as I think at least. My two favorite categories for family gifts are to give: a. something that they can do together or b. an experience. I will give some examples of each below and you can feel free to add your own and get creative! The greatest thing about a lot of these gifts is that they are gifts that keep giving. Just think, every time the family plays the scrabble game you gave them they'll remember you, or every time they go to the zoo they'll think of you. Telescope - Couple options here: Celestron 21035 70mm Travel Scope and Gskyer Telescope, AZ70400 German Technology Astronomy Telescope, Travel Refractor . These can range in price from $30 to more than $300, but for around $100 you can get a quality one. Homemade Gift Basket - Especially if it includes themed stuff like: movie night, coffee lovers, chocolate lovers, hot chocolate bar, cookies in jar with recipes, etc. Varies in price but has the most flexibility of all of these options, and you literally make it with love. So it doesn't get better than that, right? Book/Series - Depending on the family this could totally work or not. Varies in price. Concert Tickets (or other event tickets) Price varies widely depending on venue and who it is.... But this could be something like a Solo Artist, Group, Play, Musical or even Sporting Event! Psst, this is something we all need to hear.